With the release of Windows 8 Release Preview comes the necessity to upgrade. If you are running Windows 8 Developer/Consumer Preview it is as easy as running the Setup and upgrading. The setup was pretty fast and very easy to follow, they even cut the steps down from previous version of Windows. After the upgrade you will notice that your free space on your hard drive has diminished by quite a lot. That is probably due to the fact that your old Windows directory has been moved by the setup to C:\Windows.old. You might feel inclined to delete by simply deleting the folder, but you will get Access Denied errors all over the place. I’ve read online a bunch of solutions to get around these type of errors, but they are all too cumbersome. 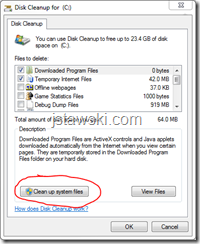 The easiest and probably supported way is to do so from the Disk Clean up prompt. To do so go to your Computer, right click on C and select properties. 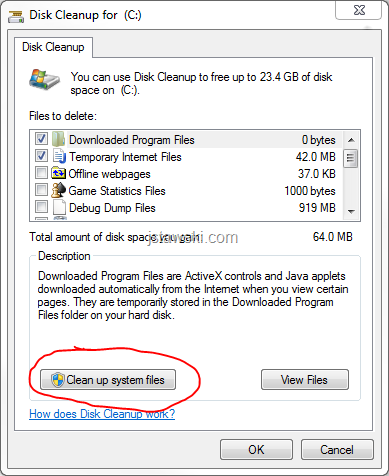 From there click on Disk Cleanup. Click on Clean up system files. This will change the options in the “Files to delete:” section and will include “Older version of Windows”. Select that option as well as any other option you wish and press OK. This will get rid of the Windows.old directory without any errors. great to the point info!!! Thanks very kindly, Jonas. Great solution and quick!! Thanks a million, perfect easy working solution. Thanks for suggestion...!! it's work perfectly.